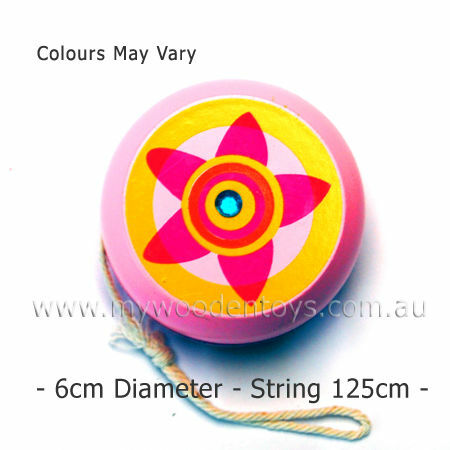 Wooden Jewel Yoyo is a solid wooden Yoyo with a 125cm cotton string. This Yoyo is decorated with a lovely jewel at its centre. This is a wonderful toy to help with fine motor skills and co-ordination. This Yoyo is nicely weighted and has a very smooth action. We like this because: "Yoyos are such a simple and old toy. This is a particularly pretty one. "